While at PAX, I got a chance to see some of the new features coming to Guns of Icarus Online, the steampunk airship combat game. 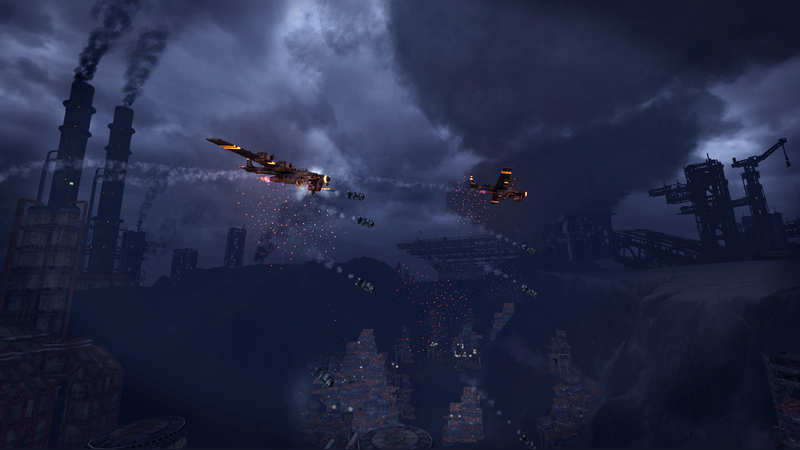 Unlike many aerial combat games, you are just part of the crew with three other players filling essential roles onboard like navigating, manning weapons and repairing damaged components. Until now, it's been strictly PVP, but the latest update will add a new cooperative PVE mode that changes the tone of the game. In a small hotel room close to PAX, Wesley and I sat down to play the new cooperative mode with the aid of a few dedicated community members. They showed us the ropes of the craft we were on, noting shortcuts to different areas, and instructing us in the best uses for the weapon emplacements. As the game started, Wesley hopped on the guns while I ran about the ship with my spanner at the ready. I had expected groups of lesser airships to comprise the majority of the enemy waves we faced, much like a round of the standard PVP modes. Instead, I saw a couple airships and swarms of smaller aircraft, fighters and bombers flying in formation. The fighter focused on us, but the bombers went straight for the buildings we were there to protect. Working together with a good crew is a very rewarding experience. I find myself drawing connections to shows like Firefly. There is a sense of camaraderie that is hard to find in other games. You all share the same deck, and in order to survive, everyone has to pull their weight. Very quickly you put aside any whining about not getting to use this gun or not getting to fly that round. Everyone knows their jobs and trusts that the rest of the crew does too. As wave after wave hit us, our captain assigned us tasks and stations; Wesley moved from gun to gun while I jumped down ladders to repair engines and armor. The fight was tense, but we held on until the timer finally ran out. Though we were victorious, we lost a fair amount of our base in the process. The enemies were tough. They weren't bullet sponges or heavy hitters necessarily. The enemies had specific roles that they carried out efficiently. Bombers would try to evade your shots, but maintain their course towards their targets. The fighters flew in units and attacked in coordinated strike. The airships would work to keep us at a distance while attacking our fortifications. Any concern I had about how genuine the experience would feel were dismissed after that game. There is still a lot of work being done to make the new mode fit just right. The finished product will have numerous factions of enemies, each with their own designs and strengths. The experience is essentially being built as a cooperative campaign. From what we've seen, it's aiming to add more depth to the game's existing mythos by fleshing out the territories and the empires that occupy them. 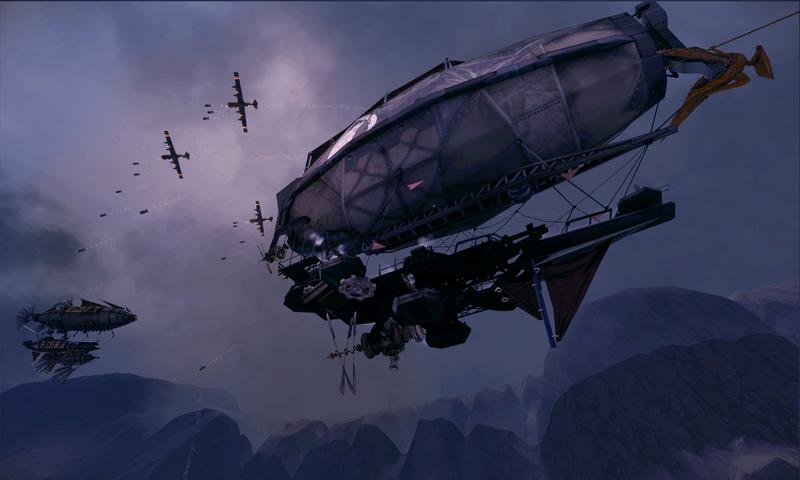 Strategy and tactics are a big part of Guns of Icarus. After going up against player controlled ships for so long, it's easy to assume that AI enemies would be less interesting. What I experienced was a clever enemy that used the strengths of their individual units to great effect. It was as immersive and complete an experience as any PVP match I have played in the game. 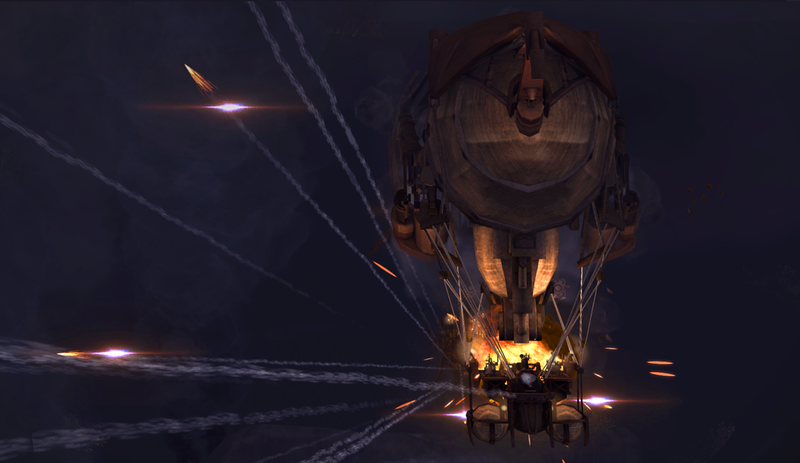 Guns of Icarus has a real gem in the new cooperative mode. 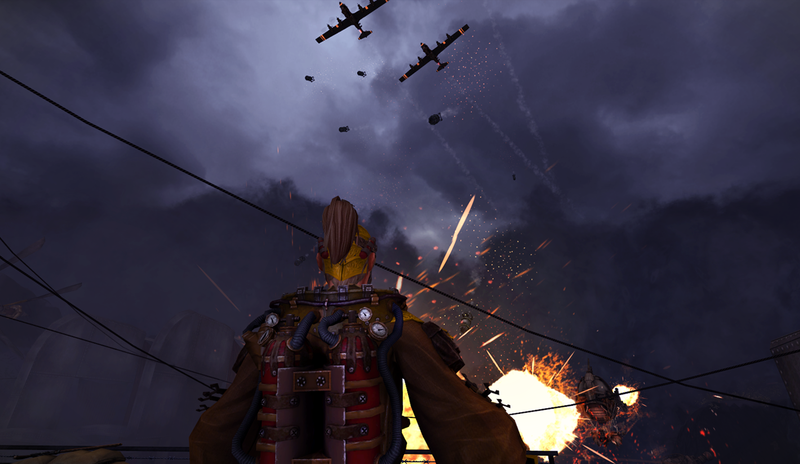 If you haven't already done so, I suggest you give Guns of Icarus a go. It's an online experience you won't soon forget.